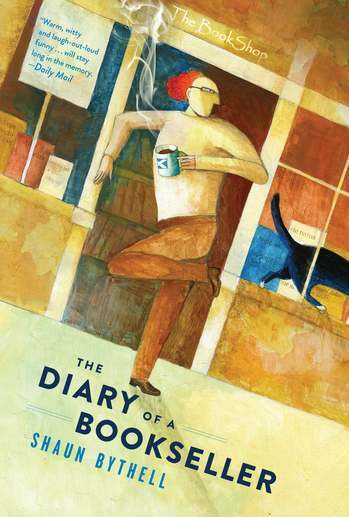 A few times a year, we take stock of the most recent books about books that have come across our desk (here's our spring 2018 list, and a mini summer list too). Here's what we have for fall: six titles ranging from scholarly to humorous, heavier on non-fiction, and all solid recommendations. 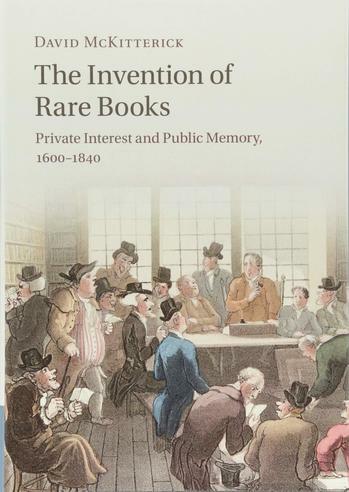 The Invention of Rare Books: Private Interest and Public Memory, 1600-1840 (Cambridge University Press) by David McKitterick will surely be of interest to FB&C readers, particularly those with an interest in book history. This is a comprehensive and erudite look at how rarity has been defined and measured; McKitterick explores the physical characteristics of "rare" books, the role of private libraries, and the development and significance of bibliographical literature, e.g., trade catalogues and Dibdin's guides. As noted in the prologue, "The invention of rare books means the selection, creation and development of particular kinds of cultural memory." 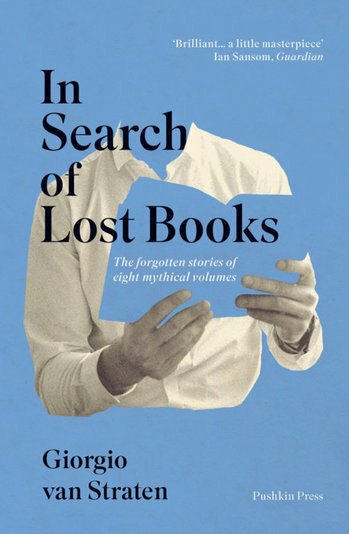 In Search of Lost Books: The Forgotten Stories of Eight Mythical Volumes (Pushkin Press) by Georgio van Straten is a captivating little book in which the author recounts his search for books and manuscripts that did exist, or may have existed, of which "with one exception, I have not been able to read," he writes. From a missing manuscript of a novel by Romano Bilenchi to 130 pages of Sylvia Plath's unfinished novel that "disappeared," the chapters are both sad and hopeful. Regarding Walter Benjamin's lost work, he writes: "There might still be some forgotten, yellowing papers in a wardrobe or an old chest in the attic of a house in Portbou..."
Speaking of lost books, Kafka's Last Trial: The Case of a Literary Legacy (Norton) by Benjamin Balint takes on the case of Franz Kafka's manuscripts--Kafka ordered them burned, but instead his friend Max Brod saved them and bequeathed them to his secretary, whose daughter hid them away for decades and then tried to auction them off. A controversial trial ensued. 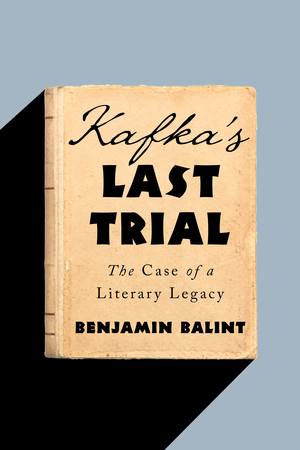 Balint does double duty as both court reporter and literary biographer. 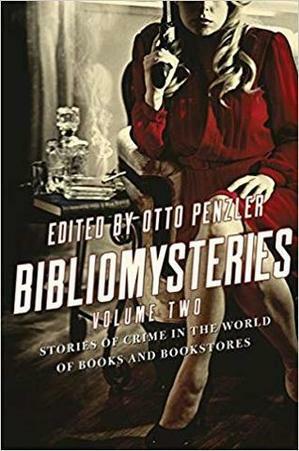 Bibliomysteries: Volume Two (Pegasus Books) is, of course, a sequel to Otto Penzler's first collection of such tales, and again he offers the crème de la crème of crime writers. Here we have Peter Lovesey writing about a box of Agatha Christie books that may be priceless, while Ian Rankin spins a yarn about a lost manuscript of Dr. Jekyll and Mr. Hyde (more lost books!). 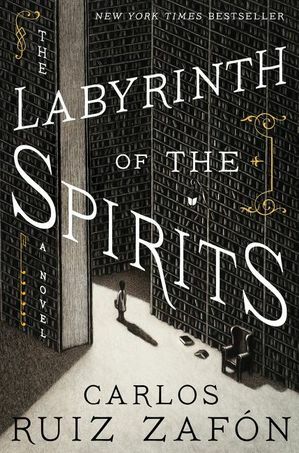 The Labyrinth of the Spirits (Harper) by Carlos Ruiz Zafón is the latest in his Cemetery of Forgotten Books series, after The Shadow of the Wind, The Angel's Game, and The Prisoner of Heaven. Full disclosure: I'm way behind in this series and have not yet read this one yet, so all I can say is Ruiz Zafón has well proven his skill at biblio-fiction. The series has been called "a colossal achievement" and "a grand epic."